Part 2 of a 4 part series on white papers – for more information on the subject please visit part 1, part 3, and part 4. Studies have shown that white papers are the information source that business leaders seek. For example, in 2014, Eccolo Media surveyed 500 IT professionals on the influence of marketing communications. Respondents ranked white papers as the most consumed type of content (among 17 categories) and the most influential type of content in the purchase process . The offer of a high-quality white paper will draw leads to your company website. However, a poorly written white paper may even repel prospects and erode the credibility of your company. Here are ten strategies for successful white paper lead generation. 1. Do not sell: Educate and inform instead. When leads sign up on your web page for a white paper, they are seeking information that will help them make decisions, not a sales brochure in a white paper wrapper. The copy should contain important facts and clear explanation, include informative graphics, and supply endnotes with references to more information. Be sure that information culled online originates from a credible industry source. 2. Choose the title carefully. 3. Clearly identify the target audience. In white paper lead generation, one white paper does not fit all types of leads. A business audience has different interests and levels of technical expertise than a technical audience. Write two separate white papers clearly targeted to the particular audience; address their concerns and objectives, and use their professional language. Then, when offering these two papers as a lead generation tool, clearly identify them in their title, so the lead selects and reads the paper that is most relevant to them. 4. Adopt a professional tone for your white paper. Write in the third person The white paper should project a professional tone to position your company as a credible source of information—a casual or informal tone undermines this objective. 5. Choose a length that is appropriate for your audience. Business leads want to read a white paper that is long enough to provide them useful information but not so long that it challenges their attention span. For technical decision makers, the sweet spot is usually about 8-10 pages. For business decision makers, a shorter paper (6-8 pages) may be appropriate. 6. Use only unbiased, factual content in white paper lead generation. Many decision makers respond more positively to documented facts that aid their decision making than to strong opinions or sales pitches. Provide unbiased, factual content that is referenced, clearly explain the challenge or issue, provide a thorough explanation of possible solutions or best practices, and describe likely outcomes or benefits. 7. Position your company as a resource only at the end of the document. Avoid including any information about your company or its offerings until late in the paper, ideally on the last page. 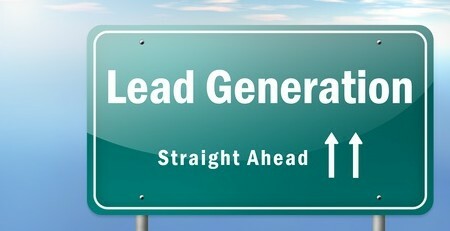 Most leads sign up for a white paper on a lead generation form to learn something new, not to read a marketing brochure. When you do cover your company, include your company’s website and contact information. 8. Follow up with leads in a low-key way. Contact leads that download the paper within a few days, and simply ask if they have any questions about the solutions that your company offers. Resist the temptation to launch into a canned sales pitch about the virtues of your business or offerings. 9. Expand your white paper into other marketing and social media channels. Initial white paper lead generation is only the beginning of the process. Promote the white paper through all of your company’s social media channels, such as Facebook, Twitter, and LinkedIn. Add a tagline and link to the white paper in the email signatures of appropriate personnel. Incorporate social media icons to the white paper PDF to encourage your lead to share the document through email, Facebook, Twitter, and LinkedIn, etc. Post the paper on appropriate white paper and business information sites. Repurpose the content in a variety of marketing and social media tools. For example, tweet a compelling fact on Twitter. Highlight a key point on a blog post. Spin off a customer success story if you have such information in the white paper. Incorporate content into company presentations, podcasts, and webinars. 10. Consider outsourcing white paper lead generation to a white paper writing expert. Relying on in-house subject matter experts to write the white paper can be risky. They are often too close to the subject to be objective, they may not have strong white paper writing skills, and they may lack the time required to write an effective paper. Consider outsourcing the white paper to a writer or agency that specializes in writing white papers. What success have you had with white paper lead generation? What best practices do you recommend? We’d love to hear from you.